We are excited to announce we are upgrading our Key Card System for the building and the Fitness Center. We have had the same program since our opening in 2006 and it is time to bring it into the new year. When the new program is installed, all the current key cards will automatically be turned off, and I will be taking this opportunity to bring all of our files up to date. As of February 12, 2019, please call or email me before coming to the Community Center to use your card. If your Membership and Waiver Forms are current, I can re-enter your card and account number into the new system. 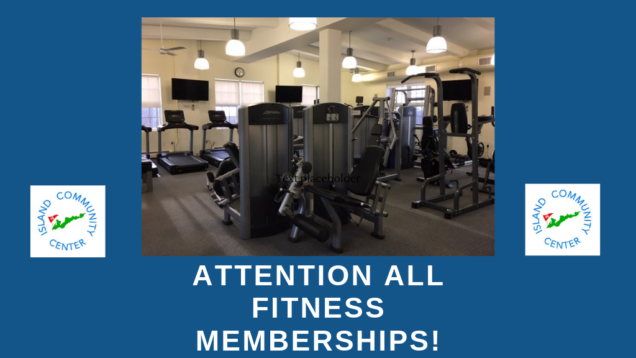 If your Membership Form and Waiver are outdated, you will need to come into the office during regular hours to update your paperwork and have your card turned on. Thank you for your help and understanding during this transition. I am looking forward to speaking with all of you. Prev:Sip ‘N Paint was Fun!